Use next-generation transfer solutions to send, share, stream and sync large files and data sets more securely, reliably and at maximum speed over global IP networks. 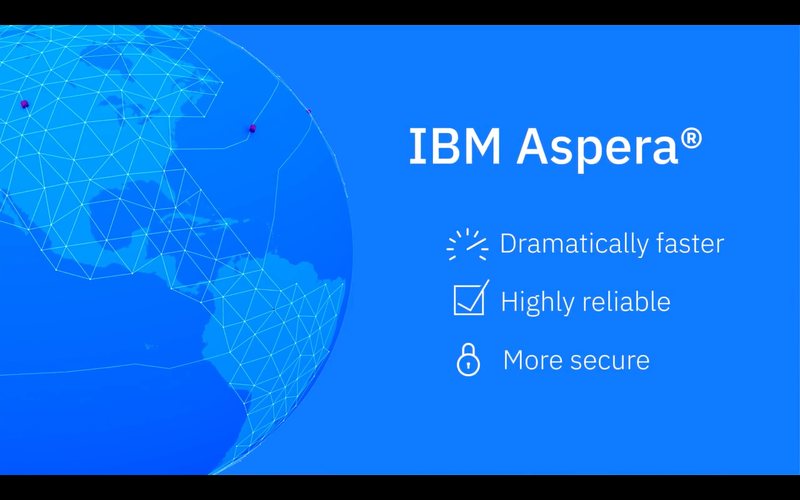 With IBM® Aspera® solutions, you can access Aspera's most advanced core technologies, features and capabilities. Choose from solutions tailored to many different needs and businesses of any size – from the small organization to the global enterprise. This combination of our innovations with our leading file transfer and streaming technologies creates solutions that virtually no other commercial enterprise solution can match. Send and share large files and data sets at maximum speed. Quickly transfer, distribute and sync huge files and data sets globally. Fully orchestrate, monitor and control data transfers and workflows. Deliver any size data and virtually unlimited bit-rate video with near-zero latency over the internet. Experience our patented transport technology that consistently ranks first in every WAN throughput test in which it is evaluated. Move data to, from and between major cloud object storages with Aspera natively integrated for high performance. Stream broadcast-quality video content over IP networks with small start-up delays and glitch-free experiences. Leverage virtually any cloud, hybrid or on-premises infrastructure and storage using multi-tenant SaaS and single-tenant architecture and autoscale capabilities. 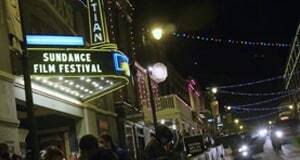 Sundance and Berlinale, two of the world's premiere film festivals, use IBM Aspera solutions to transform their video distribution workflows. 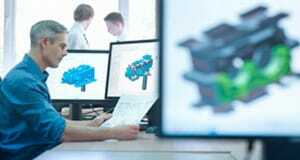 Jabil relies on the IBM Aspera high-speed person-to-person file transfer solution, running on IBM Cloud infrastructure, to enable global users to share large, high-value design and engineering files. Rainmaker Entertainment uses IBM Aspera high-speed data transfer solutions to accelerate its production and global collaboration on large media content for television and feature films. Integrate video into apps for all devices, stream live or on demand, transfer and store large files globally. Access backup, snapshot, archive, recovery, space management, bare machine recovery and disaster recovery capabilities. Host and distribute OTT and other content on a rapidly scalable, global infrastructure with high bandwidth network connectivity. Gigascience facilitates research by transferring large data sets to and from its database in just hours rather than days. BT Sport uses Aspera to quickly and reliably move up to tens of terabytes of content per day to sync with its disaster recovery site. Afrostream gains high-speed global transfer of video-on-demand with an Aspera cloud-based infrastructure solution. Try Aspera’s technology for yourself by registering for an Aspera on Cloud trial so you can transfer, exchange and deliver your data throughout public, private and hybrid clouds at maximum speed.